Welcome to Deep Plastics, Manufacturer and Supplier of Garment Accessories and Packaging Products. The company wasÂ inceptedÂ in 2005 in atÂ Mumbai. Ethical business policies and stringent quality inspection help us to cater Indian Subcontinent Quality packaging solutions, Total client satisfaction and expert workforce are the reasons behind our success. Glossy, Water Proof and Unique Design are the unique Features of our products. 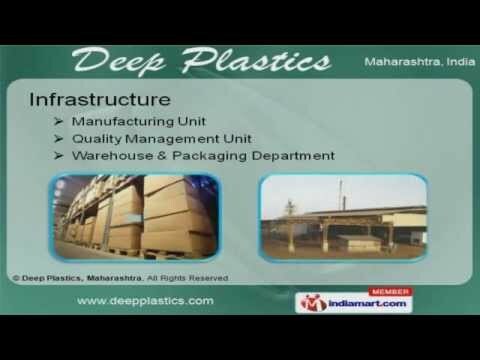 Our Infrastructure includes Manufacturing Unit, Quality Management Unit and Packaging Department. We offer a splendid range of Garment Accessories and Packaging Products that are a class apart. Garment Accessories offered by us are best in the industry amongst others. Our Silver Head Pins, Designer Buttons and Zippers are some of our best selling products. We have gained tremendous expertise in providing Packaging Products that are cost effective.